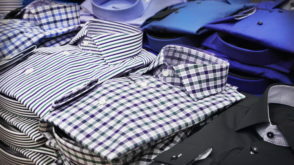 We provide the possibilities of formal wear for various work teams – e.g. everyday workwear used… in contact with customers (waiters/waitresses, receptionists), uniforms (e.g. aviation pilot uniforms or others), special clothing (e.g. at the occasion of the company presentation at a fair), respectively as a kind of employee benefits (e.g. luxurious suits for the company management, sales representatives). A wide range of materials according to customer´s needs and specification is available. An option is the application of company logo or other corporate features.